Blue Lion Biotech is specialized in high-end, analytical biotech equipment and services. We are your #1 TRUSTED reseller. 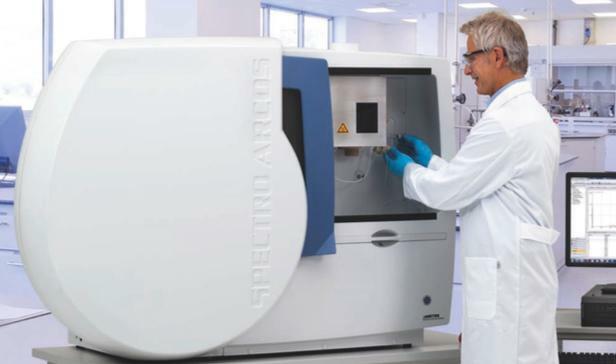 We focus on all high end instruments such as: Peptide & DNA Synthesizers, Mass Spectrometers, HPLC, Sequencers, Real-Time PCR, Robots, Flow Cytometers, ICP-MS, ICP-OES, XRD, XRF, NMRs, and much more... We are unmatched for AGILENT, ABSciex, ABI, THERMO, BIORAD, SPECTRO, PANalytical, instruments. Blue Lion Biotech is the best choice for you. We are a true multi-vendor provider of instruments, service and support. We look forward to demonstrating the levels of competence and quality service that has made Blue Lion Biotech the fastest growing reseller of analytical equipment in the North America and Europe. Shipping PolicyBlue Lion Biotech has a certified network of shipping carriers each specialized in handling high-end analytical equipment. Each carrier has an economical advantage in the geographical areas they control offering you very competitive prices. We offer you many levels of shipping both domestic and export. Blue Lion Biotech ships insured at full value protecting your investment. Return PolicyBlue Lion Biotech shall notify Buyer, via email, acceptance of Buyer’s order, and receipt and bank clearance of Buyer’s payment. At the time of Blue Lion Biotech notification to Buyer of Blue Lion Biotech’s acceptance of order and bank clearance of down payment, the instrument/s cannot be returned for any reason and the order shall be non-refundable. Blue Lion Biotech shall not accept returns, exchanges or refunds. Buyer assumes the responsibility for your purchase, and no refunds will be issued. All sales are final.